As EarthFix reported, the Forest Service still suppresses nearly all fires, decades after recognizing the danger in that practice. Wildland fire agencies currently spend millions fighting relatively low-risk fires that could actually help protect communities if allowed to burn a bigger footprint. 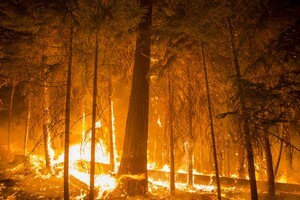 Researchers within the Forest Service are trying to push wildland fire management toward more data-driven decisions that consider the long-term tradeoffs of fire suppression. Asked what she’s doing to implement that throughout the agency, Christiansen said she was trying to build more acumen for risk management and reset the agency’s thinking.